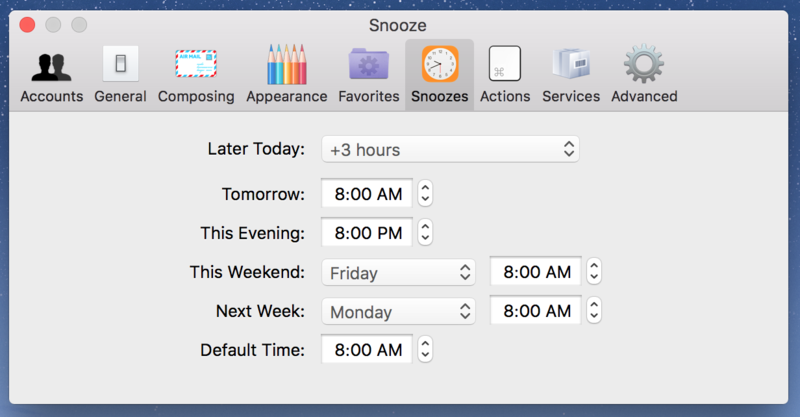 How to set default values for different snooze options? Choose you default snooze preference for each of the options. How to snooze a message? 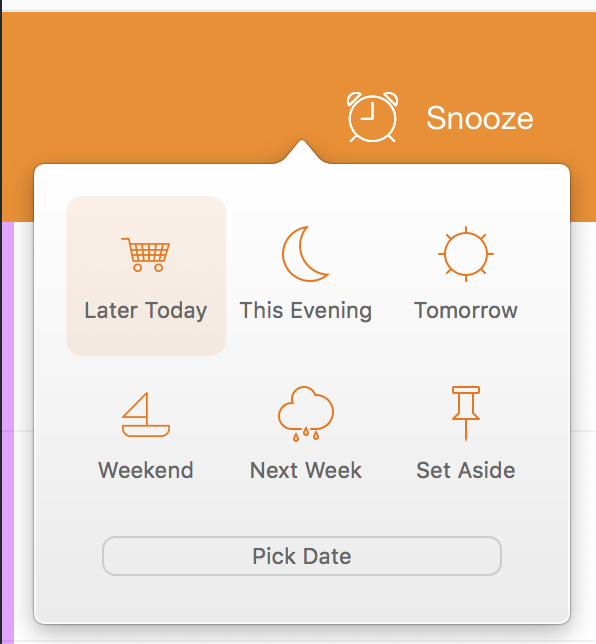 To use the snooze feature, right click on any email in the inbox (tap with two fingers or ctrl + click). OR Just press the "D" shortcut key for snooze. 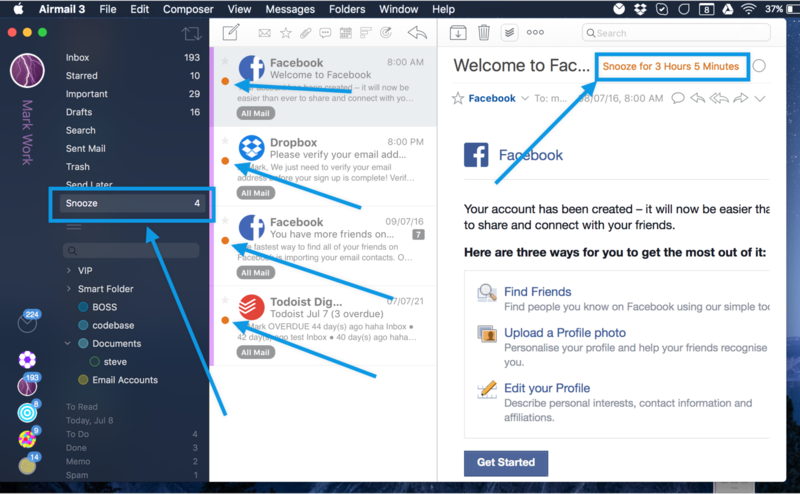 Each of the options above will use the default settings set in preferences, which is explained above. To choose a specific date, click on the Pick Date menu. Choose date and click on set snooze date. Your message will now be moved to the snooze folder, only to return on the time or date selected. Where are the Snoozed emails located? 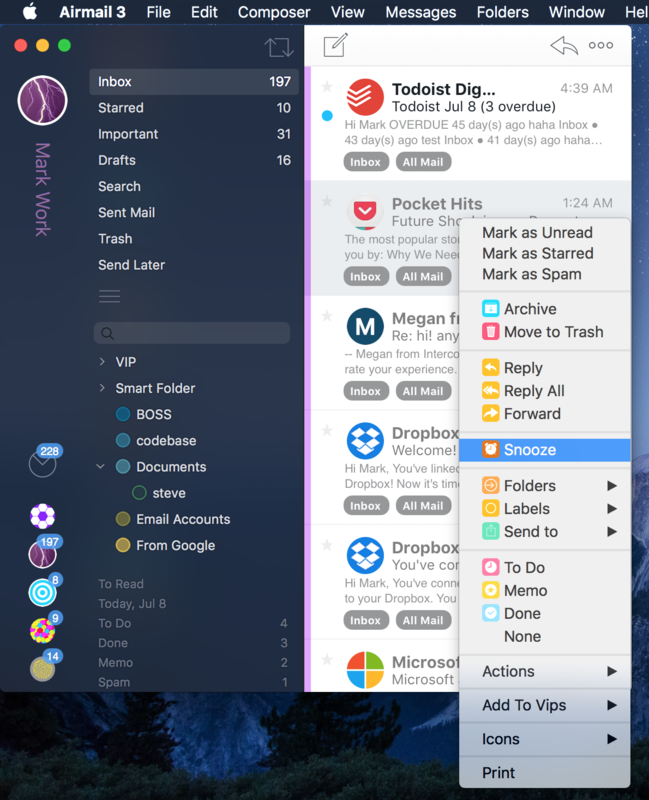 Once an email has been snoozed, it is moved to the Snooze folder/label that Airmail App created. The . Snoozed messages bear an orange dot (snooze indicator) in the message list. Each messages show the time in which the snoozed messages will return to the Inbox. What does "set aside" for snooze mean? until you manually fetch it back from the snooze folder.